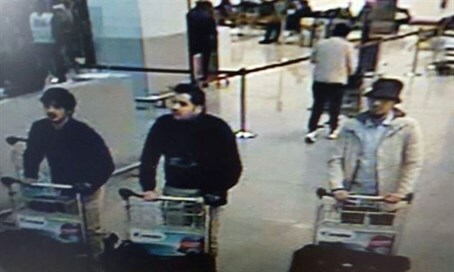 Mohamed Abrini admits to being the man filmed with two terrorists who attacked Zaventem airport. Belgian authorities say that a suspect arrested on Friday has admitted to being the "man in the hat" filmed with two suicide bombers only minutes before they attacked the Zaventem airport. "He confessed his presence at the crime scene. He explained having thrown away his vest in a garbage bin and having sold his hat afterward," the federal prosecutor's office announced. The man is identified as 31-year-old Mohamed Abrini. He is also suspected of being involved in last November's ISIS attack in Paris. Prosecutors have already filed charges against four people believed to have been involved in the attacks last month. A total of 32 people were killed and 270 wounded.